The Mitas E07 on the rear of my GSA has been replaced with a Heidenau K60 Scout after doing over 17,000 kms. I now have K60s front and back. The grumbling vibration at 25 kph is also back. Pablos at Mulgrave, Melbourne fitted the tyre and as usual were very efficient and competitive. Replaced my Continental TKC 70 at 157,503 km on my R1200 GSA 2008, fitted at 136,800km. I have never had this many kilometres on a motorcycle tyre 'EVER'. Typically 6,000 to 8,000 km from a rear. These are Western Australian kilometres - ie. Flat straight bitumen roads; commuting on freeways 18 km (x2) every day, rain or shine. Club bush rides on dirt roads from the Murchison, down to Esperance and Fitzgerald National Park dirt tracks. 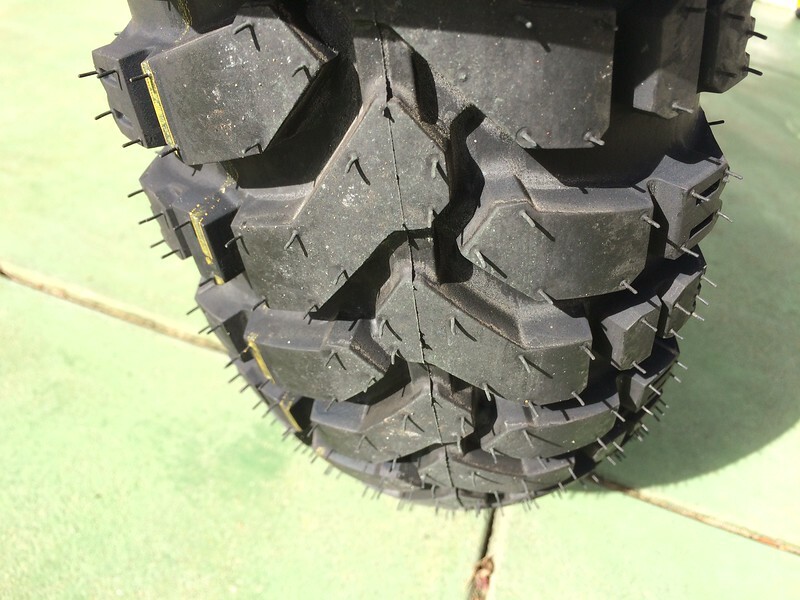 The TKC70 tyres have never let me down on-road or off-road, wet or dry (still haven't experienced mud - hardly a surprise in WA). No pucker moments, they just let you know what's going to happen next. They still stick like the proverbial on the sides when pushed to the lean limit. Not as quiet as when originally fitted, but still quiet. But never Heidenau LOUD (Where you want 'em to wear out to stop the noise). Perform admirably on dirt roads at sustained higher speeds wheelie-ing over cattle grids and power-sliding controllably in 4th. Initially concerned about sidewalls, but have encountered no problems thus far. 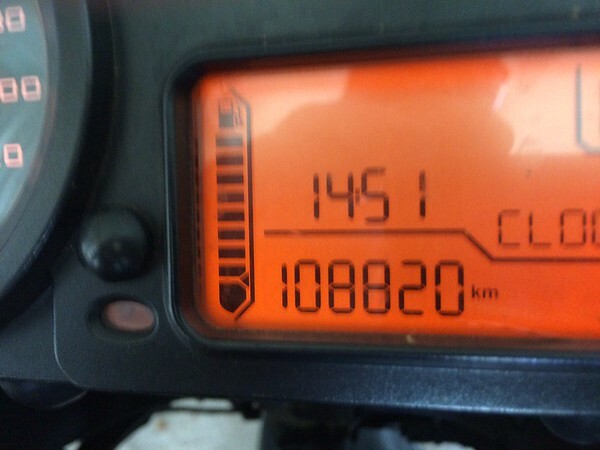 The Continental TKC 70 on the front of my R1200 GSA 2008 was fitted at 136,800km. Still can't believe that this tyre has lasted this long. It has worked hard on-road and off-road. It still gripped superbly on the edges, courtesy of the dual compound. If I was desperate, it probably would have made it to 30,000 km. But it was starting to develop a couple of small cracks. Fronts rarely last beyond 8,000 to 12,000 km. As previously reported on this thread I put a Heidenau K60 Scout on the front on my GSA at 72,666 km. The bike has now done 103,196 km and the tyre is still going strong after 30,530 km. 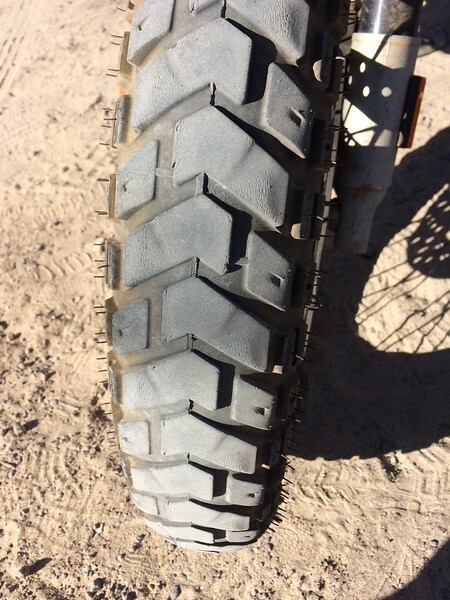 GSA front Heidenau K60 tyre at 31,000+ after riding to Boranup Look Out. 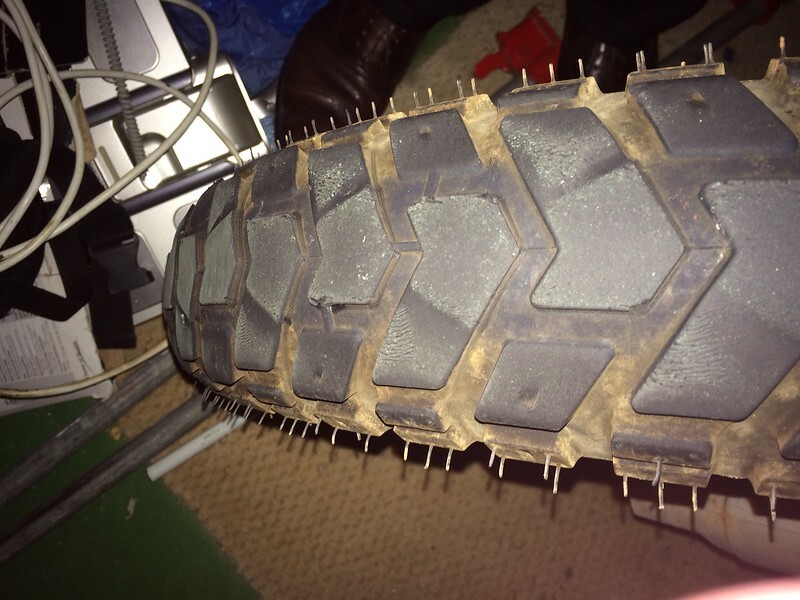 Metzeler Roadtec 01 are a pretty new tyre and they were fitted to the 1200 RT I just bought. Today after having travelled over 2,000 km since acquiring the bike, I replaced the rear. It had covered 15,558 km....not bad for a rear tyre on a heavy bike. I took in a bit of the Great Ocean Road before dropping into Road and River at Geelong to get a new tyre fitted for less than $300. The K60 Scout that I put on the front of the 1200 GSA needs replacing with the tyre wear bar now having no headroom to the tread. I had thought about replacing it before the 3,200 km round trip to Exmouth but it was in pretty good nick with little cracking and minor damage to the blocks. Put on at 72,666 kms two years ago, the odometer has now hit 108,820 giving a tyre life of 36,154 kms. 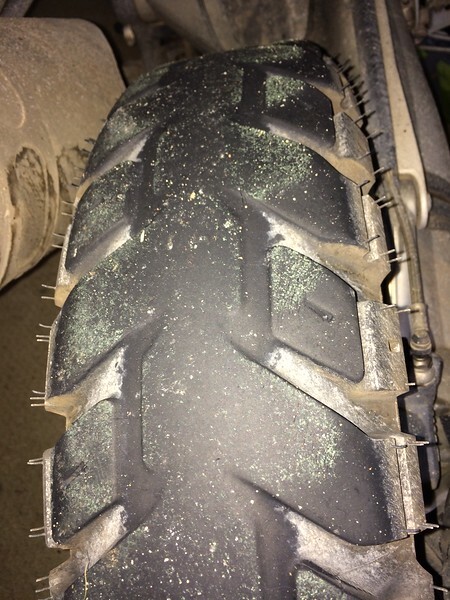 I got over 37,000 on a front tyre on a 1200GS doing a similar mix between on road and off road (90% bitumen, 10% gravel). Most of the kilometres are touring involving high speed and little braking. I will put a new K60 on the front of the bike this week. 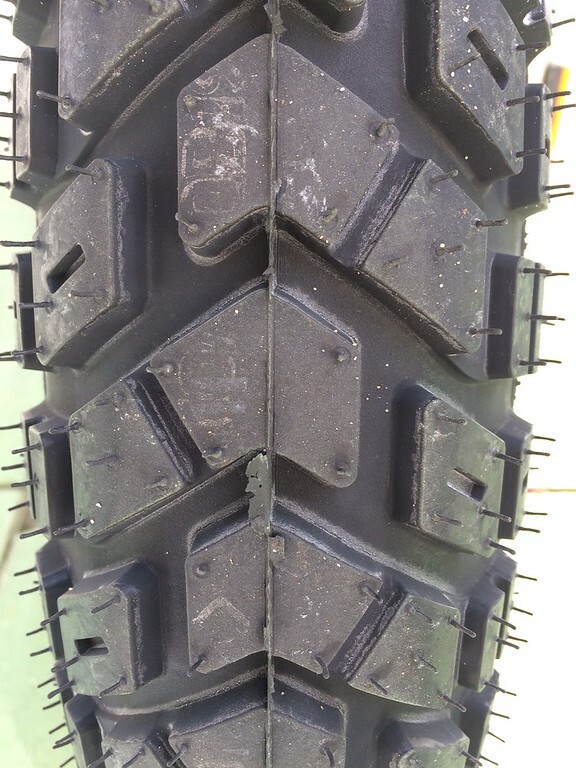 The rear tyre on my 1200 GSA is also worn square. I put it on at 90,261 km under a year ago part way through my across Australia trip. It has been a good tyre but the 18,559 km tyre life is a little short of what I expected for the price premium to a Mitas E07 for a similar mileage. I got around 18,000 km for each of two Mitas E07's fitted to this bike. I will put a Mitas E07 on the back this week. I excpect to get 36,000 kms out of the front and 18,000 kms out of the rear. I think this combination of 50:50 tyres gives me the best compromise for mileage, cost and grip. Bozo, And heaps of sprules to wear off or are you taking a razor to them? "I love a sunburnt country, a land of sweeping plains. Of rugged mountain ranges, of droughts and flooding rains. I love her far horizons, I love her jeweled sea. Her beauty and her terror, the wide brown land for me." Call the tyre casting residue sprues, nubs, nibs, nubbins or whiskers or whatever you like they will mostly wear off naturally. No need for me to intervene. Out on the new bike fitted with what I thought were new 'Tourance's. The rear was slipping all over the place on the bitumen. I was remembering that 'Tourance's were a bit stickier than that. 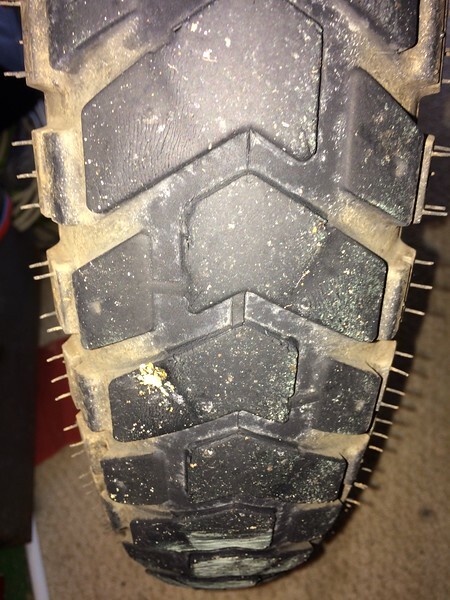 Remember when you were lucky to have a rear tyre last 2000 km on the sports bikes of your youth Sometimes you just want them to wear out!